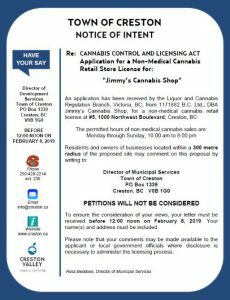 Jimmy’s Cannabis Shop, The Creston Valley Cannabis Company and Sticky Leaf have all applied to the Liquor and Cannabis Regulation Branch and are now waiting for council approval to set up shop. 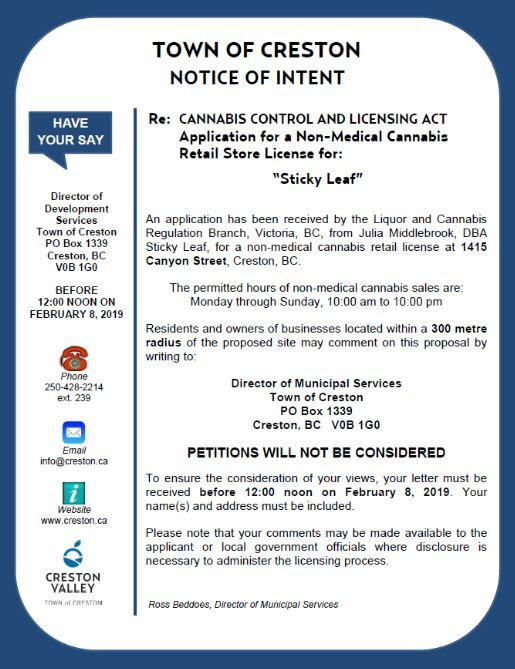 Sticky Leaf Owner Julia Middlebrook has a storefront already, specializing in cannabis accessories and says if her license is granted soon, recreational cannabis could be in Creston as early as the end of the month. 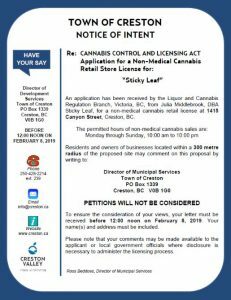 Middlebrook says it was always her intent to eventually sell recreational cannabis when the time was right. 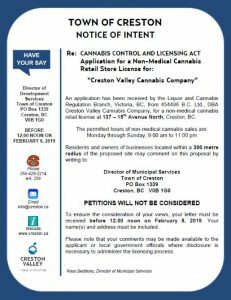 With two more shops on the horizon, she says she welcomes the competition. 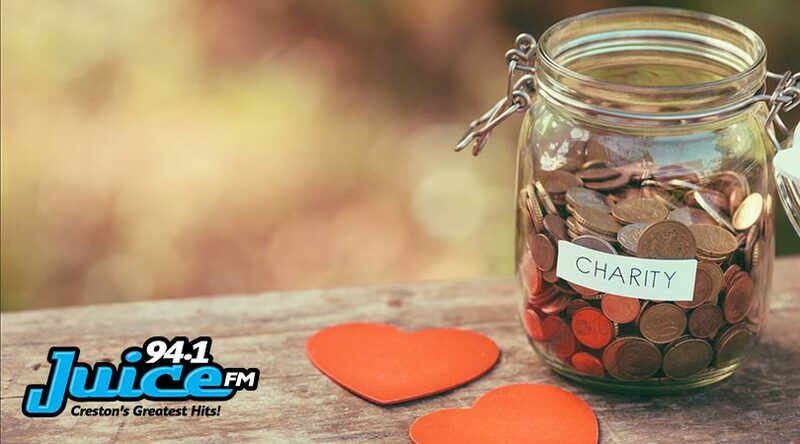 A notice of intent has been sent out to all residents and owners of businesses with 300 metres of the proposed storefronts and have until noon on February 8, 2019 to write a letter of concern to the director of municipal services. Further details on each notice of approval may be found directly on the creston.ca website as well as how to contact the the Town of Creston.